It’s probably not something you buy on a regular basis. In fact, you may never have bought a garage door before, so if it’s on your to-do list for the year ahead and you’re not sure what you need to take into account, here are our 5 Top Tips on buying a garage door. 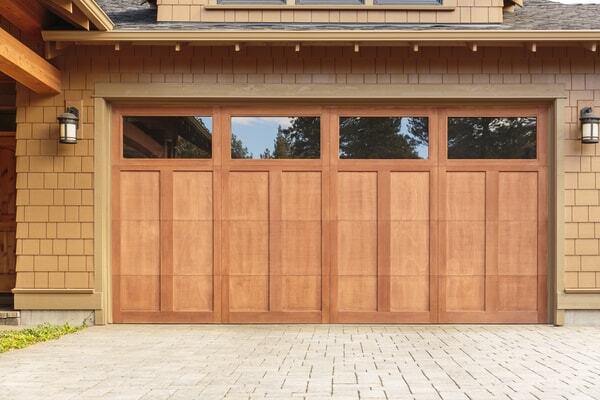 First things first, decide what type of garage door you are looking for. Do you want a manual or an automatic door? How large is your garage frame? How much are you looking to spend? The next thing to do is go to a showroom to have a look at what the doors actually look like, and talk to a member of staff who’ll be able to help you choose the best one for your needs. Make sure you pick an accredited garage door supplier, ideally one that sources doors directly from the manufacturer and offers installation as part of the price. How much is a garage door? The price of a garage door from a reputable supplier in Hertfordshire will vary significantly based on the material used, the size of the door, and the mechanisms. Beware of purchasing a ‘cheap’ standard garage door which is usually made of less hardy material and is more often than not a standard size which may not be compatible with your requirements. We recommend that you get a quote from reputable garage door supplier and highlight all your key requirements. Check too to see whether installation is included within the price. Is my garage door secure? Unfortunately there’s no 100% guarantee that your garage door cannot be broken into. So you need to have a garage door that’s as secure as possible. Choose a door that’s made from strong materials and has a good quality lock mechanism, such as a euro profile cylinder lock with a good quality handle and internal locking rods. Which style of garage door is best for me? Whether you’re looking for a new classic roller, compact roller, up and over, side hinged or sectional garage door, you have a choice of styles that’ll suit your garage and your lifestyle. This is entirely down to you in terms of what you’re looking for in a garage door, and what you’re storing behind it. Doors come in all sizes, colours and styles, with and without windows, on manual or automated mechanisms. Will my garage door be maintained? It’s probably not a question you’ve considered, but it’s definitely one to think about. Whilst most modern garage doors don’t usually require a large amount of maintenance, it’s good to know whether your garage door supplier offers maintenance as part of the price. These days we all lead busy lives and so having the reassurance that there’s support there if and when you need it is important, particularly with those doors with mechanics behind their operation. Visit our Cheshunt showroom to see the type of doors we have available and to talk to one of our expert members of staff. Next: Next post: Why choose a new garage door?